Perhaps you found your way here after evaluating last year’s successes and failures. Perhaps setting goals is new to you, and you’d like a little help. Or perhaps, like me, you hesitate to set real goals in the first place because you’re desperate to avoid any kind of failure. If you consistently make and break New Year’s resolutions, or if you often find your enthusiasm waning halfway through the year, then these methods for setting goals will help! 1. Before you make an attempt at setting goals, spend time in prayer. First, if you have an area of your life that needs improvement, God is probably already nudging you. The best goals are those the Father wills for us, and to remain aligned with His will requires a little soul-searching and time spent praying. If you already have some ideas about goals you should set, ask Him for confirmation! Second, after you finish setting goals, continue to pray over your God-dependent efforts. For example, when working on getting healthier last year, I often asked the Lord for strong lungs and strong knees so that I could continue working out. I asked Him to give me the desire to eat right and the desire to exercise. I even asked Him for strength to continue in the middle of some of those workouts. When I quit praying for those things for a time, I struggled and wasted several months going nowhere. 2. Support your goals with scripture memorization. Often the Holy Spirit reminds me of verses I have memorized at key moments, such as when I’m tempted, struggling to trust, or avoiding obedience. He even brings to mind verses to encourage me in my efforts. The more we memorize, the more weapons in our arsenal! When working on a goal pertaining to a weakness in your life or a desire to achieve something new, find and memorize a few key verses to motivate and encourage you. 3. Expect and prepare for opposition. I’ve mentioned before that as soon as we aim to make positive changes in our lives, Satan is sure to try us. When we finish setting goals, we instantly become walking targets! Doubt easily sets in when we fail to prepare for spiritual warfare. Even friends or family may unintentionally discourage us because they fail to understand our goals, or perhaps they just don’t agree with them! Either way, if we expect and prepare for rough seas at first, we won’t be easily deterred when storms blow our way. Change isn’t easy, especially if you are trying to undo a life-long habit! Even if you’re simply adding a new habit, real change takes weeks – some experts advise 30-40 days or longer. Don’t be ashamed of your baby steps! Use the small start to build to bigger changes. Starting small after setting goals allows you to focus on one thing at a time so that you don’t feel overwhelmed. For example, if your goal is to eat healthier, start by exchanging an unhealthy afternoon snack for a serving of vegetables. Once you’ve mastered that step you can move on to a bigger step. Don’t despise the day of small things. Instead, celebrate every small victory! 5. 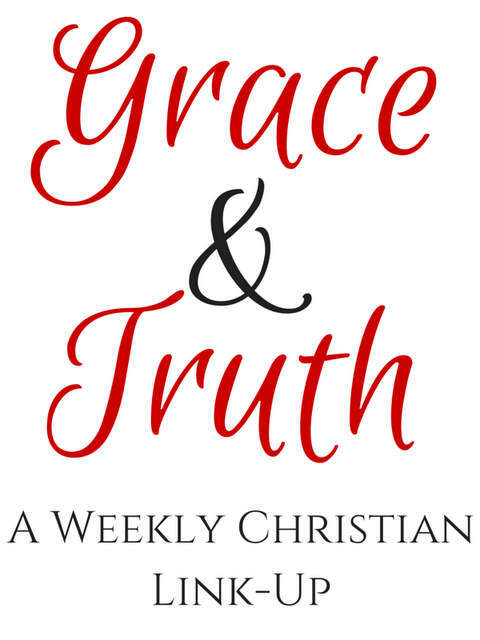 Break loose from perfectionism by embracing grace. I’ve written before about disliking the process of setting goals (and being afraid to get too specific) because I’m afraid to fail. I hate failing! As a perfectionist, I must recognize how this all or nothing mindset limits me. The only way to break loose from perfectionism’s chains is to view myself as a work-in-progress woman. Rather than avoiding the process of setting goals altogether, I purpose to show myself grace! I know some current goals are going to be long hauls, especially this weight loss journey. Whereas a setback might have caused me to give up for good previously, with grace in mind I can see the work in progress rather than individual or isolated failures. * This post makes use of affiliate links. 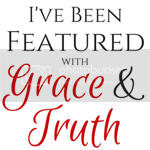 Jen is an affiliate for Grace Goals and will receive compensation for any purchase made through the affiliate links on this blog at no additional cost to you. Thank you for supporting the ministry of Being Confident of This! 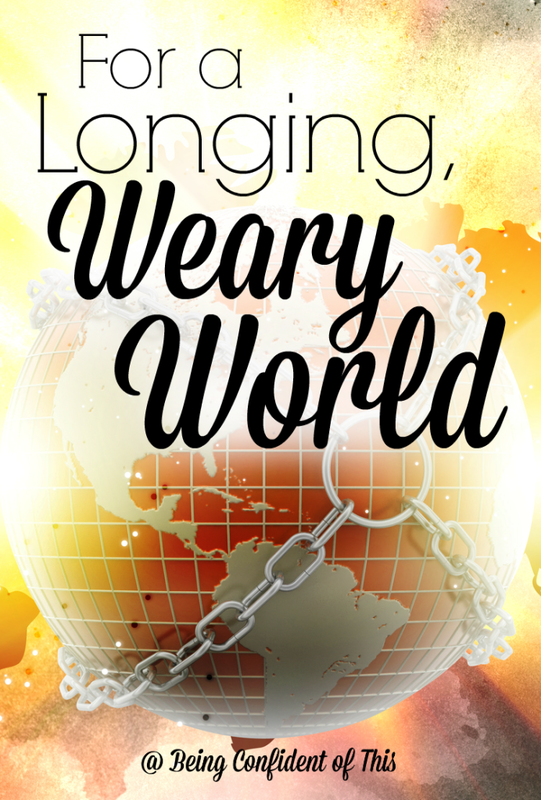 Do you really want lasting, godly change? 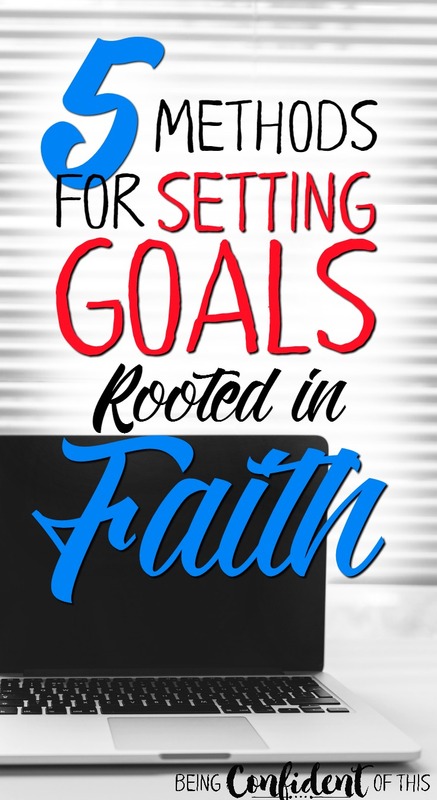 If so, I highly recommend Grace Goals, a new scripture-based goal-setting workshop developed by my friend Arabah Joy (this is my affiliate link). Grace Goals contains 5 Workshops to help you identify your greatest desires and develop a plan for pursuing them. Grace Goals also targets the tools you need to succeed and (the most important part, in my opinion) helps you understand how faith plays the greatest role in achieving real change! 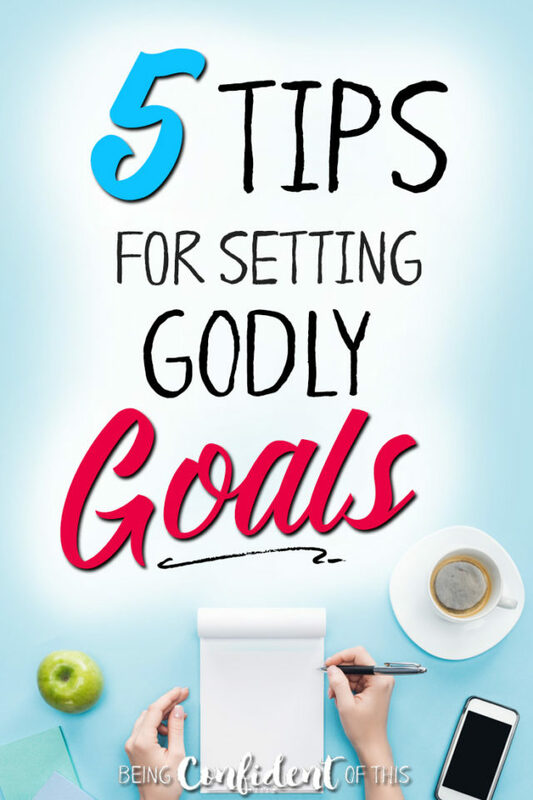 Because as a pastor’s wife and woman of faith, I appreciate the fact that Arabah Joy takes a biblical approach to goal-setting rather than a worldly approach. In fact, in the very first workshop, Arabah Joy recognizes that no goal is worth pursuing if it hasn’t come from God. If you’re looking for validation for goals and dreams you have already decided for yourself, then this probably isn’t for you. On the other hand, if you genuinely want to know what the Lord wants you to focus on and the dreams and desires that come from Him (as scary as that can be sometimes), then you will find Grace Goals very helpful! In fact, the first time I started Grace Goals, I quit. It challenged me in unexpected ways, so I tucked tail and ran away scared. But after falling under conviction, I picked Grace Goals back up, and I’m so thankful. 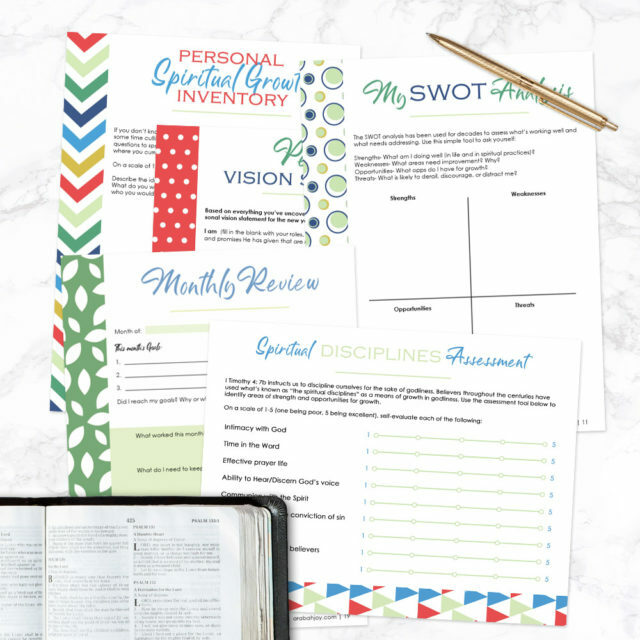 Last year I used Grace Goals and the planning sheets to write and teach a Bible study on discipleship for some of the women in our church, several of whom are now discipling others. To God be the glory! 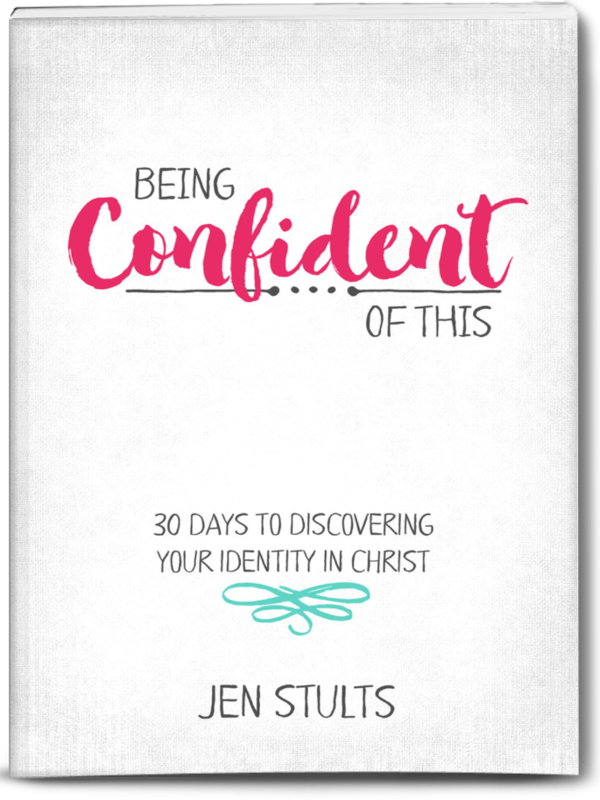 I used Grace Goals again earlier this year to pray over, plan out, and publish a new devotional I believed God had laid on my heart, Being Confident of This. 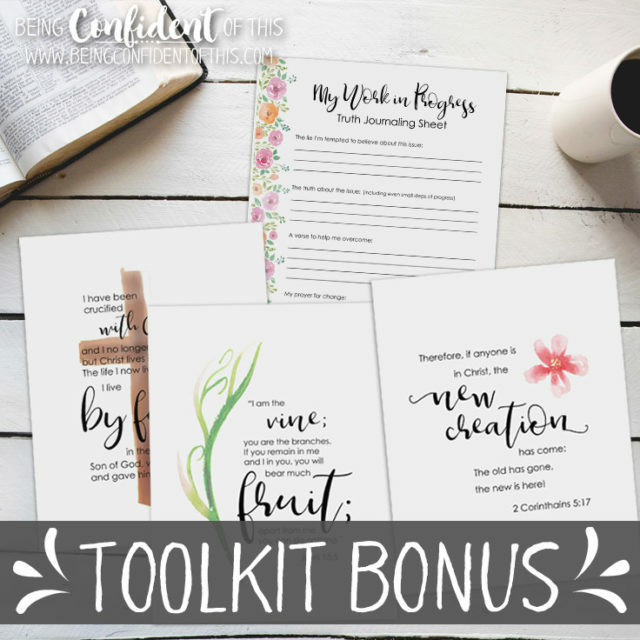 This year Arabah Joy is offering 2 of her own bonuses – a spiritual growth plan workshop, as well as a spiritual disciplines and growth binder! These are limited offers, so be sure to check and see when they expire. In addition, anyone who purchases through my affiliate links is eligible for a limited time BONUS from me, too – a Work-in-Progress Toolkit. 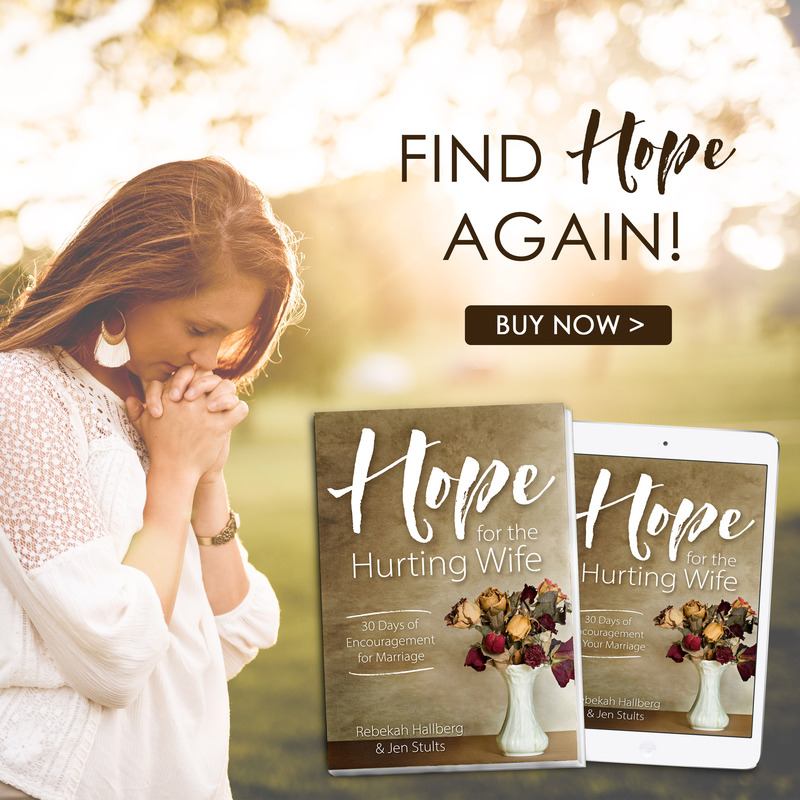 It’s perfect for those of us who struggle with perfectionism, and is designed to be a companion to Grace Goals – to encourage you along the way by addressing obstacles I’ve encountered when attempting to set godly goals. I know from experience that setting goals can easily be seen as a set-up for failure, so I want to help you learn how having a work-in-progress mindset creates a set-up for success instead! No need to fear the goal-setting process with this grace-filled encouragement in place to help you focus on truth. I hope you take advantage of this special offer, friends, because the content here is extraordinary! Wishing you a fruitful New Year!